AT Trend is a fully responsive Magazine Joomla theme that is specially designed for introducing the most trendy and fashionable items on attractive news and magazines websites. 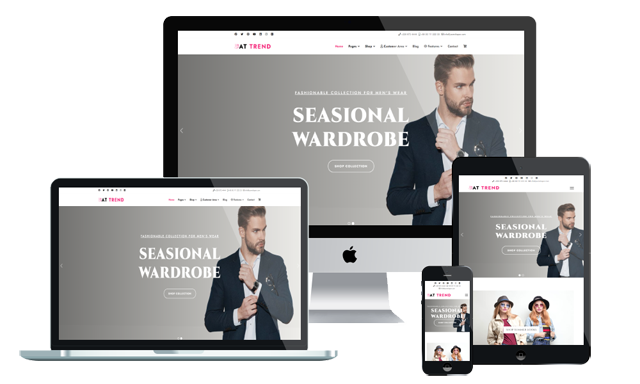 This awesome theme has been designed to meet all of your requirements for a gorgeous fashion magazine website, from appearance to its features. Based on the powerful framework under 100% responsive layout (support mobile/tablet version) of the latest Bootstrap CSS Framework, Support Font Awesome and K2 extended style, AT Trend is seemed to be a great option for your online magazine because it is fully customizable and easy to use! The content organization has been managed well, so viewers will not get boring while exploring different articles on your site. Besides, this Magazine Joomla theme also provides you with a flexible homepage which includes boxed and full-width layout and 4 color styles to make your site be unbeatable with any other competitors. Sounds amazing? There are more things of AT Trend that are waiting for you to explore.